We knew it ourselves but now its official! Solarwatt panels are still the most reliable panels and they have the awards to prove it. 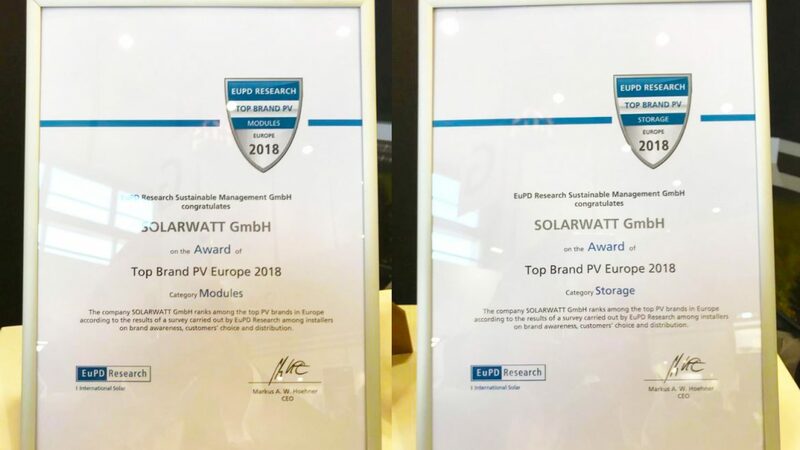 The renowned market and economic research company EuPD Research has once again named the Dresden-based premium supplier of PV systems as the top brand in photovoltaics. 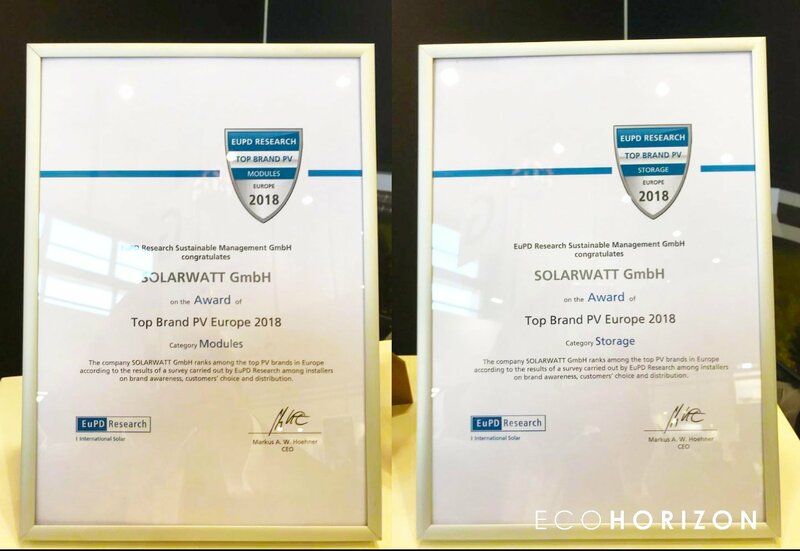 According to the survey, German installers rate SOLARWATT as one of the best brands in the market for both solar modules and energy storage solutions. SOLARWATT GmbH, founded in 1993 and based in Dresden, Germany, is the leading German manufacturer of photovoltaic systems. The company is the European market leader in glass-glass solar modules and one of the largest providers of electricity storage. For more than 25 years, the SOLARWATT brand has stood for premium quality made in Germany. International global players such as BMW i, Bosch and E.ON cooperate with the medium-sized company, which employs around 350 people worldwide. Eco horizon have been using solarwatt as their premium solar panel and battery storage solution. We feel that on something that calls for such a large investment. Why settle for anything less than superior. Get in contact today and get your PV system which has a 30 year performance and quality warranty.